VANCOUVER AND TORONTO, CANADA — September 18, 2014 – Nicola Wealth Management (NWM), an independent financial planning and portfolio management firm serving high net worth individuals and families, opened a new office in Toronto to expand its presence in Eastern Canada and accommodate clients in the Greater Toronto Area. 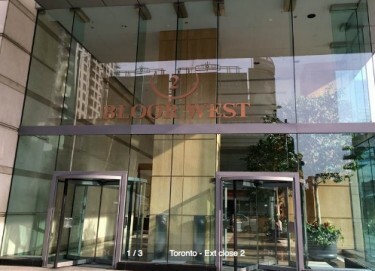 The Toronto office is situated at Suite 1702 – 2 Bloor Street West, joining Western Canada locations in Vancouver, Kelowna and Richmond, B.C. Heading the Toronto office as Managing Director (Eastern Canada) is Kostas Andrikopoulos. Mr. Andrikopoulos is the former CEO of a large national wealth planning firm and has been providing planning and tax advice for two decades. Additionally, he is a member of the Institute of Chartered Accountants of Ontario (ICAO) and the Society of Trust and Estate Practitioners (STEP), a board member of Concordia University’s John Molson School of Business, and a past board member of the Don Mills Foundation, the Boy Scouts of Canada, and the Board of Governors of Dawson College. He has also lectured extensively on tax and accounting as part of the McGill University MBA program and the Concordia University Department of Accountancy. With over $2.7-billion in assets under management, NWM has grown and evolved to become one of Canada’s fastest growing private investment counsel firms since its inception in 1994. In 2011, Investor Economics ranked the firm among the ten best-performing companies with assets greater than $1-billion, as well as among the top 20 largest private investment counsel firms in Canada. In addition, NWM’s executives are regular commentators in the financial and business press including the Financial Post, Globe and Mail, Vancouver Sun, BC Business, and BNN, as well as speakers at professional events. The firm has also received numerous awards and recognition including 2012 CFO of the Year by Business in Vancouver, 2011 Ernst & Young Entrepreneur of the Year (Professional and Financial Services, Pacific Region), and 2011 Canada’s Top 50 Best Managed Companies (B.C. Finalist), to name a few.